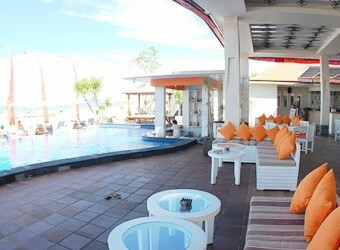 Bali Restaurant Wacko Wacko Beach Club is located in Tanjung Benoa where a number of tourists play marine sports. If you want to eat many kinds of Indonesian seafood dishes, you can't miss Wacko's ALL YOU CAN EAT. It will be taste good for foreigners. Aiso, they have some food for kids. It is nice for family with little children to have a meal there.